One of our users recently sent us this question, so we passed it on to Alexander Korostelev from reaConverter, together with a few other questions regarding the use of a converter through a command-line interface. 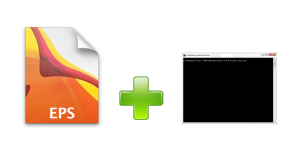 Q: Can you run ReaConverter through a command-line interface in order to convert EPS images? A: Yes, any advanced user can run ReaConverter from his application or webpage using the command-line interface. Running through command-line is an advanced feature available with ReaConverter Pro – a piece of software intended mainly for developers, image designers or other types of users who do image processing professionally. Command-line is usually preferred by advanced computer users because it allows them to have more control over a program or an operating system. Using command-line basically means writing lines of text or “command lines” which instruct the computer program to undertake certain processes. This is slightly more difficult than issuing commands using your mouse, as one does on a GUI (graphical user interface) operating system, so this is why we recommend using command-line only for advanced users. Q: Why use the command-line feature? A: Because you save a lot of time and generally increase your productivity. Command-line allows you to write commands that help you automate and manage more efficiently a whole range of reoccurring operations related to applying digital editing to your images. It also makes your job a lot easier if you have images stored on several computers. It is certainly the best option for the advanced user who plans to convert EPS images from a webpage and wants to have the output files saved in a different location. Generally speaking, using the command-line interface allows you to work faster, reduce errors and handle images more easily. Q: How do you use the command-line feature to convert an EPS image? A: Firstly, you need to download and install ReaConverter Pro, which can be tried for free at reaconverter.com. This program supports command-line conversion and image processing for over 400 image formats, including Encapsulated PostScript or EPS files. Secondly, you will use ReaConverter’s command-line tool, cons_rcp.exe, which will allow you to do conversions and image editing either from the command-line, command (batch) files or by using third party applications. A comprehensive list of instructions about how to use this tool, together with a list of parameters, is available here. You are welcome to contact our technical support when you have any questions about reaConverter. This entry was posted in Image conversion and tagged command line, converter, eps on February 8, 2013 by reaconverter.